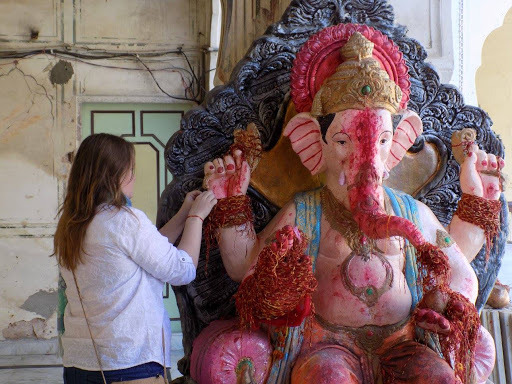 10 Things You NEED to know before going to India – Where's Clair? 1. You will never be alone. This might seem logical given the population of India, but in the whole time I was there, with the exception of having my own hotel room, I was never alone. There are people everywhere!! All day and all night you will be completely surrounded by people. It is loud and boisterous and you can hear the constant sound of horns beeping all night. From the moment I stepped on the plane at Heathrow I knew that this was going to be a hectic trip! Even in the nicest of hotels the level of cleanliness will not be up to the standard you’re used to. This means stained bed sheets, grubby towels and grimey bathrooms. But you just have to go with it. I suggest bringing your own towel and a sleeping bag liner for the more “itchy” beds and you’ll be fine! As well as this you may find that your hotel/hostel does not have hot water or indeed you may find that hot water comes from the cold tap! When walking on the street in India you have to look in ALL directions. Left and right to avoid traffic, down to be careful of the uneven footpaths, up to avoid low swinging monkeys! Even though I had no experience of pick-pocketing, eyes in the back of your head in the busy tourist areas would also be helpful! This is a skill that is not easy to master when you are too busy being completely enchanted by the magical temples and opulent forts and your every other sense has been hijacked by the scents of fresh spices and flowers. There is a big tipping culture in India and besides restaurants and hotels, you will be expected to tip everyone from taxi drivers, to bathroom attendants. It is so ingrained in the culture that waiters will come back to you and remind you that there is no service charge if you haven’t left a tip. Try to keep small notes and coins handy to avoid both embarrassment and given too large a tip! If you are travelling by train, remember to leave plenty of time. Trains are often delayed and I don’t mean by minutes, I mean by HOURS. Our overnight train from Jhansi to Varanasi was delayed by 4 hours because another train derailed after it hit a cow (seriously!). We were told that the train the day before was delayed by 7 hours, so if you are using a train to catch a flight, it is probably best to leave the day before, just to be on the safe side. I also recommend that you bring lots of food! 7. Dogs and Monkeys and Cows, Oh My! You may be aware that the cow is a sacred animal in India. What you may not know, is that they are EVERYWHERE. They walk through the streets paying little attention to humans, they eat from bins and sometimes from food stalls, I even had one stand beside me as I waited for a train at the station. Since Hindus believe that harming a cow leads to the ultimate bad Karma, they are very much left to their own devices and you will have to step out of their way if they want to pass. I would certainly say that there are more cows roaming free in India, than people in Ireland! 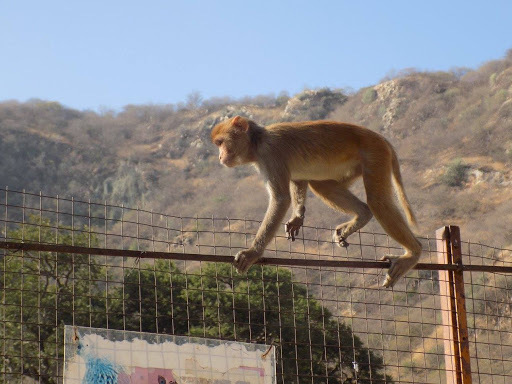 As well as cows, you will also find an abundance of monkeys and stray dogs wandering the streets. 8. Food in India vs Indian food. If you like your chicken Balti or a good Tikka Masala, you will probably be quite surprised. Many of the dishes we have come to know as Indian were actually anglicized versions of the cuisine. That is not to say that you won’t be absolutely blown away by the amazing flavours and spices and the love that is poured into every Indian dish. Try the big chunky samosas, delicious butter chicken and the cottage cheese with spinach, accompany these with an Indian sweet lime soda or a creamy lassi, you won’t be sorry! You will also be surprised at the distinct lack of meat in many places as many Hindus follow a vegan diet. You will certainly not find beef easily anywhere in India, so a visit to McDonalds is also quite interesting. Be careful of street food, in many parts of south east Asia, this is a go- to, but I met a group of young travellers who had all been shot down with food poisoning! 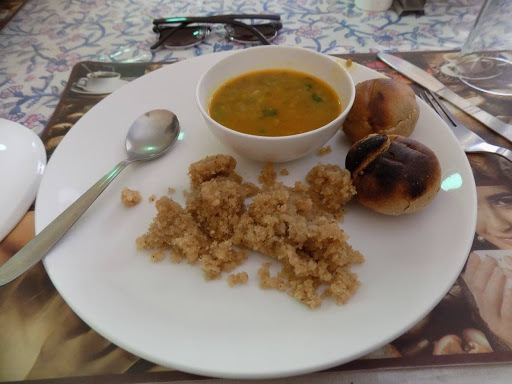 Food in India is delicious and pretty cheap so find a good place and go nuts! 9. The people are amazing! The people I met in India were the friendliest and most kind hearted people I have ever met. Every person was so happy to talk, practice their English and listen to where I came from and what it was like there. I was also very honoured to be invited into a wedding party and be treated like a guest of honour, dancing, eating and talking to the family. I also had a few funny experiences of people asking if they could have their photos taken with me or handing me their babies! While begging is a problem in the larger cities, in the smaller villages, the children have not been exposed to this. They are happy to play with you and ask you to take their photo. You hear choruses of excited children shouting “Excuse me Miss, One photo please!” I was also blown away by the respect paid by the people towards people of other religions. Communities of Hindu, Muslim, Sikh and Buddhist people live side by side, respecting each other’s beliefs and traditions. Anyone who travels to India will tell you that it will change the way you think. Visiting a Hindu temple and taking part in their rituals has to have an effect on you and challenge your own beliefs and perceptions. India dispelled the myths that it was a dangerous place, unsafe for female travellers. It wasn’t a dirty, smelly place over run with rats. I wanted to disbelieve that a Hindu Guru could predict my future, but somehow I believed. I didn’t get “Delhi belly”. I unlearned all of the perceptions I had about the country and learned so many wonderful new things about it and myself. Over the coming weeks I will be writing about my time spent in India, the people I have met and experiences that I will cherish forever. If, by the end of the series of posts, you do not want to book a flight, then I won’t have done the country justice and you should see it for yourself! So informative!!!! Thank you for the tips!!! 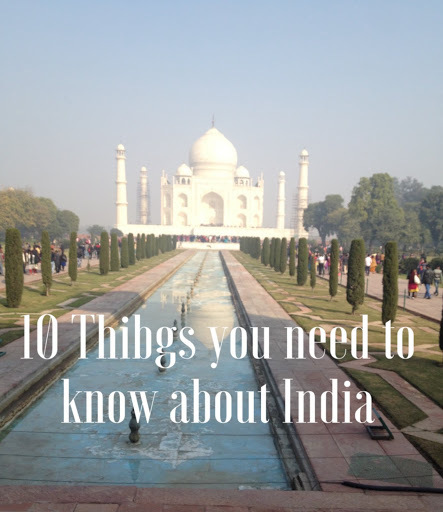 My family wants to go to India one day, and these are for sure good things to know. I'm most excited to go to a Hindu temple. This is sucha great post. Thank you! India has always been part of my bucket list and I hope I will get that courage and opportunity to visit this place. What I really like about this country is their fascinating culture and tradition! Thanks for this very informative post and giving us an idea of what to expect from this Country and what else it really has to offer! 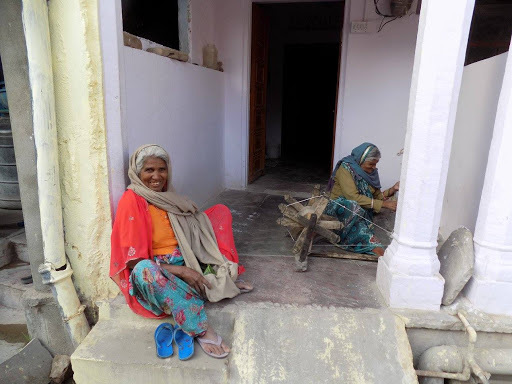 I have been seeing more and more of India as I explore the blogosphere and sometimes I wonder why Indians in my country would prefer to live here. This was a great list and I hope that someday it comes in handy if I ever make it over there. I loved how you shared your experiences in with the tips! Loved this post! I've always been curious about India, and your insights have helped me understand the culture, habits, tourist standards and the people. I admit, it sounds inconvenient, haha! But I keep hearing about how beautiful and unforgettable certain parts are, so maybe one day, I'll visit! I am living in India since my childhood and I am aware of each and everything you said. It might seem a lot different than your country but we are quite used to it and would probably find ourselves strange without it. The hygiene, as you said is somewhat inferior but what I think makes India a stand out are the people here, always willing to help others and participate in the discussions about public matters. My husband has been to India on a business trip and the first thing he noticed when he arrived is the hygiene. He said he was warned by his company against eating or drinking food outside the hotel he is staying. Once I wanted to go to India and I heart about All the mythes. Rats, dirt and getting sick. It's good to read positive vibes. I'm very attracted to those gods and would love to try these rituals. 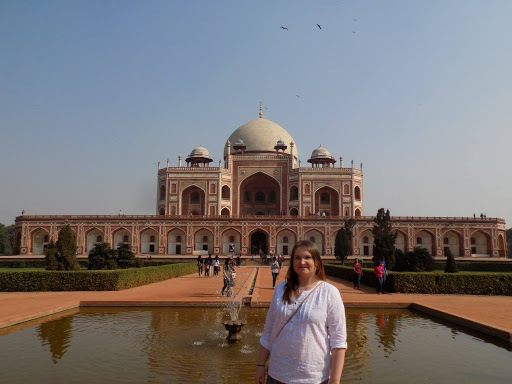 So nice to step into India through your blog. This was so informative! Great post! I definitely look forward to going to India someday and will keep all of this in mind. Interesting information about India! I have read negative articles about the place but this article of yours showed the lovely side of India and it is indeed something that made me want to visit the place! I think what I know about India are their food! They have curry and also roti right? Roti's are my favorites! I am so grateful to have read this post! I have always dreamt of travelling to India but found myself apprehensive because of issues raised with safety for female travellers. 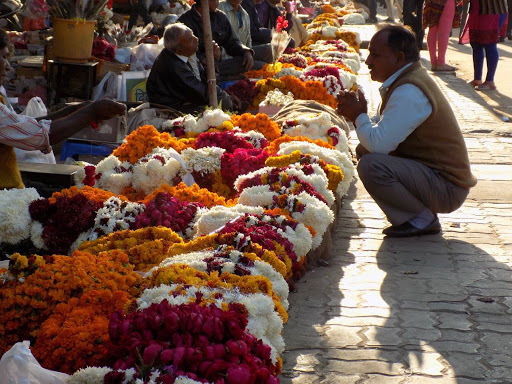 I've been reading a lot of blog posts about India and every single one makes me want to go there more and more. In spite of monkeys, not exactly the tidiest hotels and train delays, it seems like such a wonderful country. This was so informative, thanks for sharing! I love how you've captured India in this post. It is so different to the Western world that it is like stepping foot in another universe but I still believe that everyone should experience it at least once. I always tell people going there that in order to enjoy it they should rather not focus on the hygiene (or lack of it). And I love the food there too.